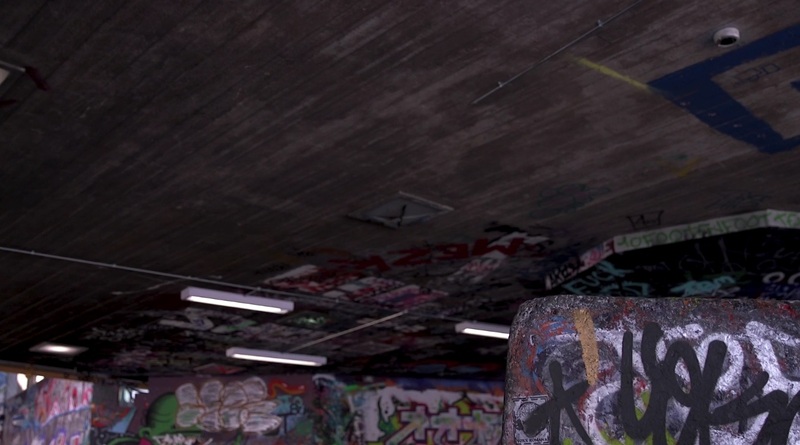 Southbank Undercroft is one of the oldest continually skated spaces in the world, and Long Live Southbank wants to keep it that way. The group is fundraising to restore certain sections of the space, which is used by skateboarders, BMX riders, artists and more. And in recent years the group has had a little more than fundraising to contend with. The group formed when redevelopment of the space was suggested for the free-to-use area in 2013 – it had been argued that new commercial income was needed for refurbishment which would be generated by moving the skaters 120 metres along the River Thames and providing space for new restaurants. The plans did not go ahead, and now the group is hoping to raise money to expand the space – which features stairs, graffitied walls, ramps and ledges – into previously used sections. “When I skated here 20 years ago, the whole way underneath the building was open to skateboarders,” said Jenna Selby, a photographer. Will the area be restored to its former glories? Long Live Southbank certainly hopes so. Science jobs – Are they all lab coats and Bunsen burners?